Turkey Empanadas – A perfect nosh. I was spoiled growing up, as rarely did we ever eat the same meal twice in two days. Instead, my family often showcased our knack for reinventing leftovers. You had extra roasted chicken? Make chicken enchiladas. Too much grilled steak? How about a chophouse salad? 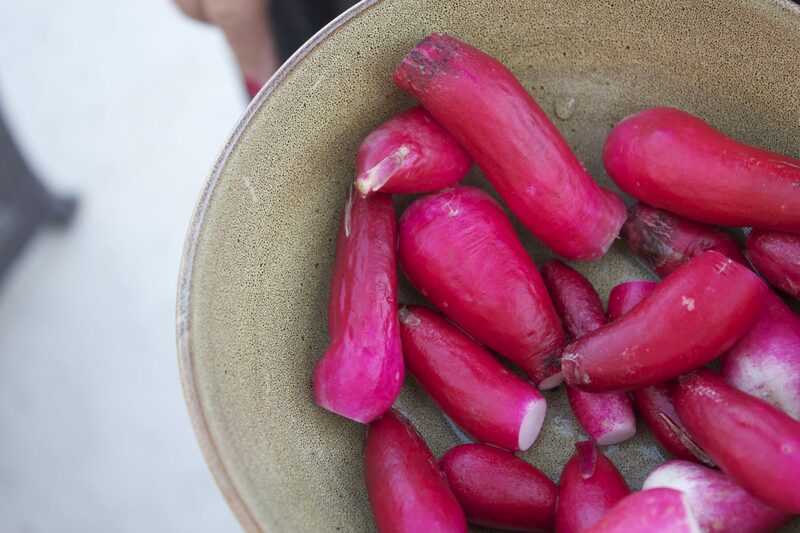 Sometimes, we even made extra of a certain dish, knowing what was in store for the surplus. Take picadillo, for example. If I knew we had picadillo for dinner last night, I’d sit in class daydreaming about the perfectly palm-sized empanadas that surely awaited me when I got home that day. One of my favorite noshers, empanadas delivered the protein-packed bite I needed after a long day hitting the books, and were small enough that they wouldn’t ruin my appetite for dinner…that is if I could contain myself to just one. The perfect study snack, many of my A-plus papers and projects were the direct result of cram sessions fueled by these satisfying hand pies. 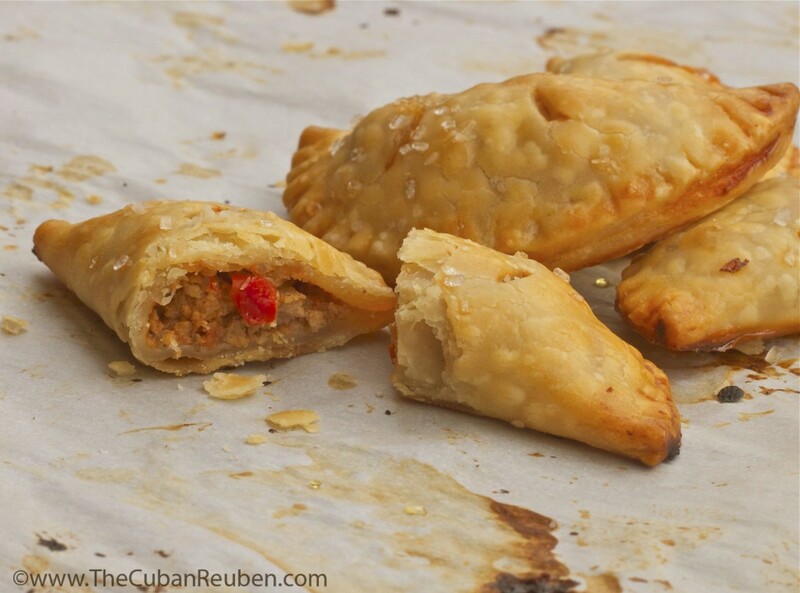 What makes these little turnovers distinctly Cuban is their savory sweet flavor, accentuated by the nuggets of golden raisins added to the smokey picadillo. And while the home-cooks of yesteryear may have made their empanada dough from scratch, this is an instance where I like to keep things simple, and opt to take a little help from the store. Although I prefer to indulge in these flaky half-moon bites while they are still warm, they make a great addition to any potluck, as they taste sinfully good at room temperature, as well. A quick and easy two-bite snack that makes the best use of leftover picadillo. Roll out dough on a lightly floured surface. Using a two-inch round cookie cutter, cut small discs of dough, and place on a parchment-lined cookie sheet. Place sheet in refrigerator for at least 5 minutes. Stir in the raisins into the picadillo, and spoon 1 teaspoon of the mixture into the center of each dough disc. Fold the dough over, and pinch the edges, making sure to push out any air that might fill the pocket. Crimp the edges using the teeth of a fork. Brush the egg wash over the folded hand pies, and cut ½ inch slits on the tops, so that any steam will be released during cooking. Sprinkle the tops with turbinado sugar. Bake for 15 minutes or until dough is golden brown.